Food for Education project is aimed at providing school meal (school tiffin) to primary level students of government schools serving the most neglected and underprivileged children of backward community. 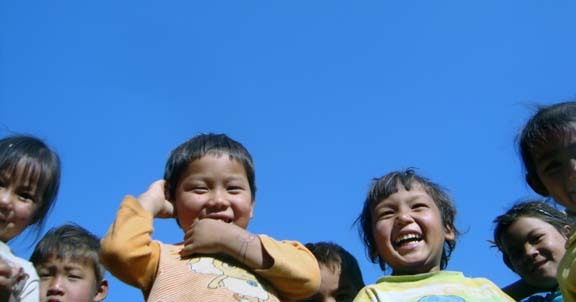 In the education system in Nepal, primary school begins at six years of age in Grade 1 and continues till grade 5. The goal of primary education is to teach children reading, writing, and arithmetic. Hence, only successful completion of primary schooling guarantees both the persistent pursuit of school education and the skill needed to escape poverty. 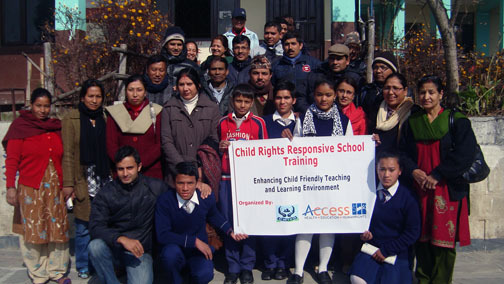 With dismal projection of statistic of 78% of total enrolled children at grade 1 not reaching to secondary level of school education and still 16.8% of school age children untouched by school are the major barriers and stumbling block in realizing “Education for All” in Nepal by 2015 as Millennium Development Goals. Attracting out of school children to school and holding them there for long has been a key area of concern, where national policies have been proved not so encouraging time and again despite making primary education free for all. Compulsory primary school enrollment, regular attendance and survival rate seek many interventions to be implemented such as teacher’s training on child centered teaching; free education; child friendly behavior, management and infrastructural development and community sensitization. Having facility of school meal is another most vital component to encourage poor family to send their children to school which ultimately prepares a solid ground for the continuation of further school education discouraging dropout and transforming the skills that represent their own best chance of escaping poverty. 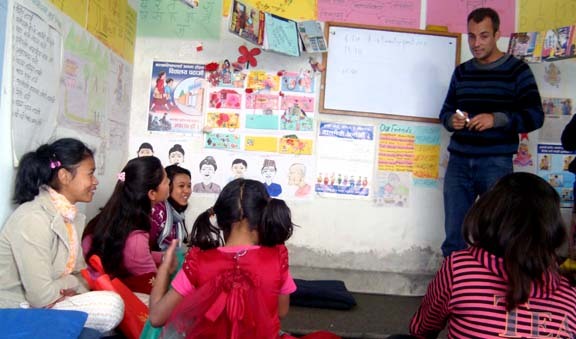 Economically challenged children from backward community, and child labors with significance concentration of girls constitute nearly the total number of students enrolled at community run primary schools (government school) in Kathmandu. They receive free education. Free education doesn’t cover expenses for school uniform, stationery and school meal (Tiffin). These little kids study for 5 hours without food to eat. They can’t afford school meal due to abject poverty and in some cases indifference/negligence of the parents. Studying 5 hours without a single grain undoubtedly harms their health adversely impacting on their learning capacity. Providing students with school tiffin/meal produces many synergistic returns such as retaining the existing children at school, ensuring their regular attendance, further survival rate and attracting more poor children who are still out of school. “Food for Education” project, therefore, aims to provide school tiffin/ school meal to every individual child attending primary level school to ensure the survival rate. 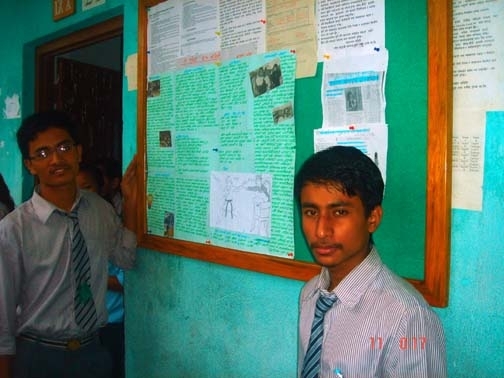 This 11 years old boy, named Surendra Bansnet has been studying in Madan Asrid Primary School, Kathmandu from grade one. He is now studying at grade four. Both of his parents are labor and their income always fall short to the need of their 6 member family. His father’s alcohol drinking habit has added owes to their already suffered life. 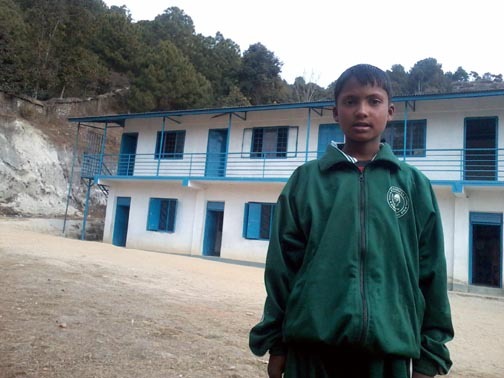 Surendra gets free education in this school including free stationery, books, school uniform. He rarely brings school meal. 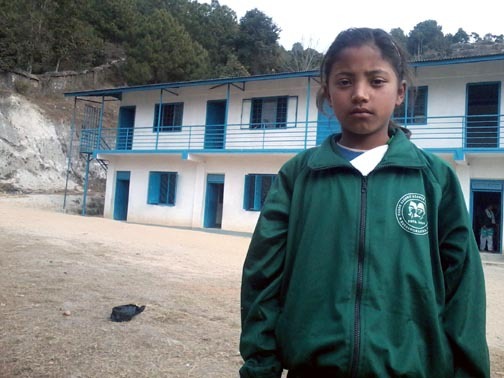 This 11 years old girl named Shova Bhandari currently studies at grade four in the same school. Just like her friends, she never brings school meal. Her 6 members’ family solely depends on her father’s income for livelihood. Her father is a daily wage earner. Her family can’t afford her books and stationery. If free education hasn’t been available to her, she would have been out of school and working somewhere exposing herself to abuse. 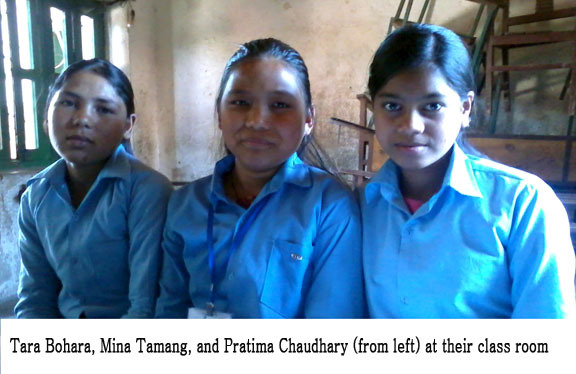 These 3 girls named Pratima Chaudhary, Mina Tamang and Tara Bohara aged between 11 to 14 years are classmates and study at grade 5 in Bhadrakali Primary school, Kathmandu. They work in someone’s home as a child domestic labor. In return of their labor, they have got a chance to see school where the education is free. Just like their other friends, they don’t bring school tiffin. They study 5 hours without food. Your donation of 24 cent (USD) feeds a child a day at school. 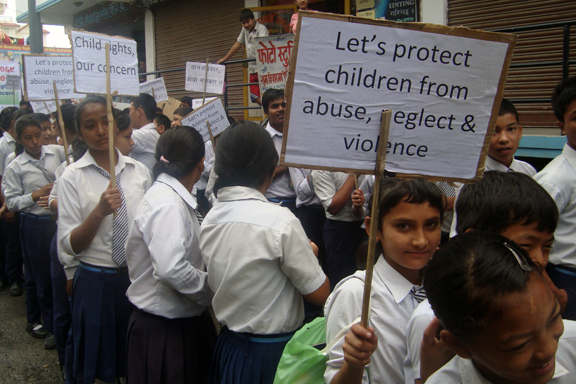 · Protect children from various form of abuse and neglect such as child domestic labor, child sexual abuse etc. 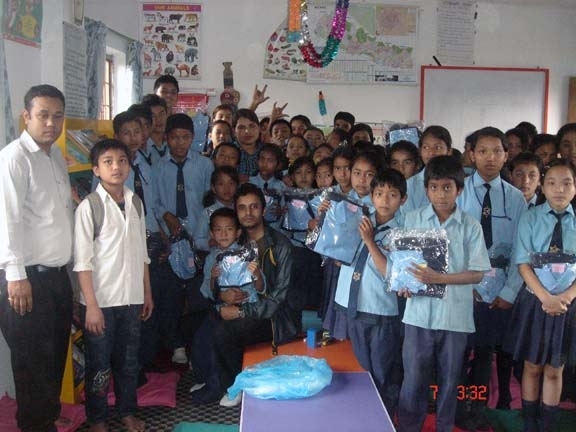 · Attract poor family to send their children to school. 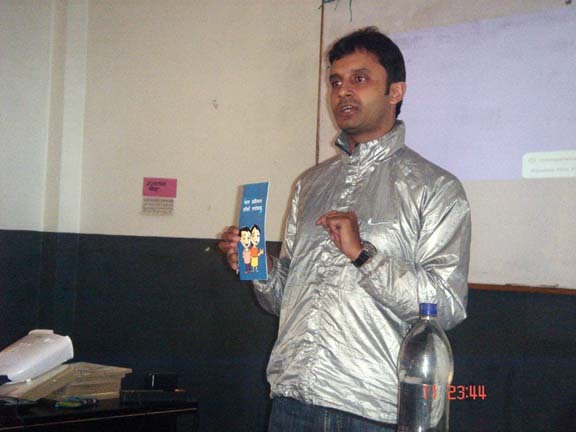 From 17th of June 2012, Food for Education program has been launched at Madan Asrid Adarsha Primary School, where everyday 65 to 70 children gets school launch under the support of Adrien Darde, internation co-ordinator of Access. 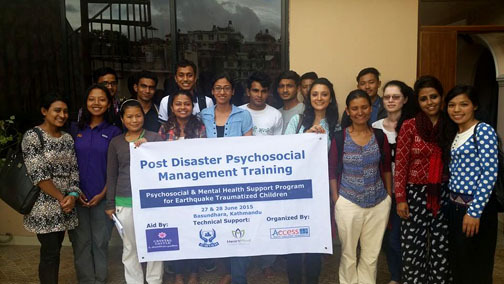 Thank you for caring us.